Set up a small ice bath. Fill another medium saucepan with water and bring to a boil. Add the eggs and simmer over moderate heat for exactly 7 minutes. Using a slotted spoon, transfer the eggs to the ice bath to cool. Carefully peel the eggs and cut them in half lengthwise. 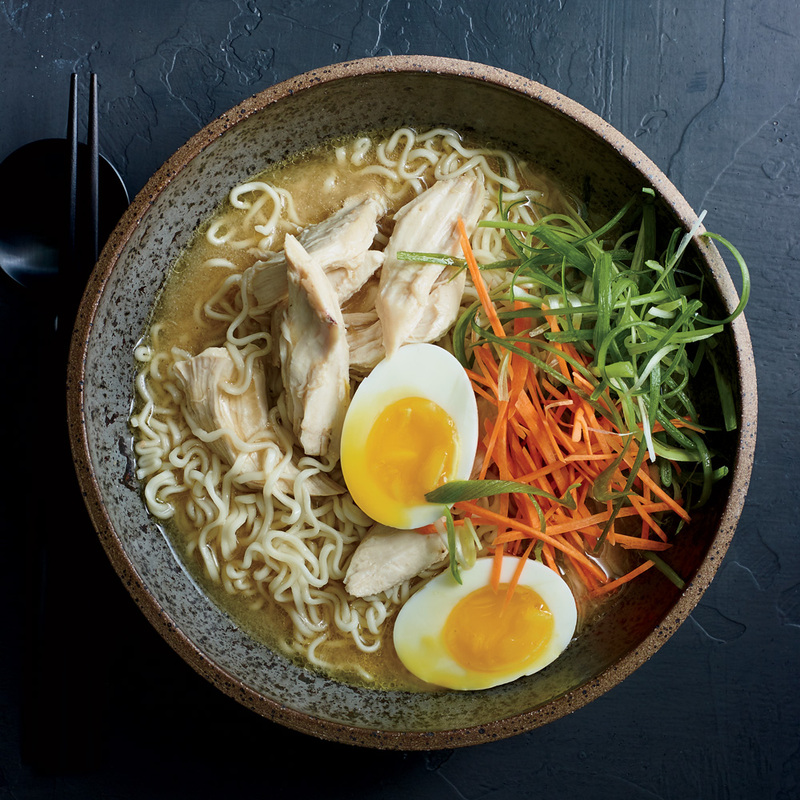 The chicken and miso broth can be refrigerated overnight. Reheat gently before serving.